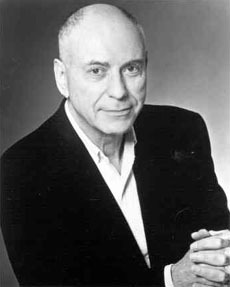 At 14, Alan Arkin appeared in a professional play and got his first paycheck for acting. He later performed with Chicago's Second City improv group, and worked as a television and stage extra. When a few acquaintances formed a folk and pop group called the Tarriers, Arkin sang along, and played guitar and recorder. Their single of "Cindy, Oh Cindy" spent 12 weeks in the top 40 in 1956, peaking at #12. In 1957, they had the #27 song of the year with "The Banana Boat Song" (aka "Day-O"), though the later rendition by Harry Belafonte is the calypso hit everyone remembers. Arkin made his nominal film debut in 1957's Calypso Heat Wave, which featured the Tarriers. But after about two years touring and recording with the group, he decided to turn to acting professionally. Six years later he won a Tony for his 1963 Broadway performance in Carl Reiner's comedy Enter Laughing. In his first non-Tarrier film role, he was nominated for an Oscar as an odd Soviet officer in the 1966 cold war comedy The Russians Are Coming, the Russians Are Coming. His most famous performances include the menacing killer in Wait Until Dark, Yossarian in Catch-22, the Bean to James Caan's Freebie in Freebie and the Bean, Sigmund Freud in The Seven-Per-Cent Solution, a dentist opposite Peter Falk's CIA agent in the original The In-Laws, the last honest salesman in Glengarry Glen Ross, the lonely father in Slums of Beverly Hills, and the drug-addled grandpa in Little Miss Sunshine, the role which brought his Oscar in 2007. He also had a recurring role on Sesame Street in that show's early years. Arkin won another Tony for directing the original Broadway production of Neil Simon's The Sunshine Boys. He also directed the film adaptation of Jules Feiffer's Little Murders and the underrated, hilariously mega-Jewish comedy Fire Sale. Arkin also writes children's books, including The Lemming Condition and The Clearing.